Ray Santisi performing at the Top of the Hub restaurant in 1981. As he helped his Berklee College of Music students become better musicians, and in some cases famous performers, Ray Santisi liked to tell the story of when he was their age and had a chance to play with Charlie Parker, the legendary jazz saxophonist. 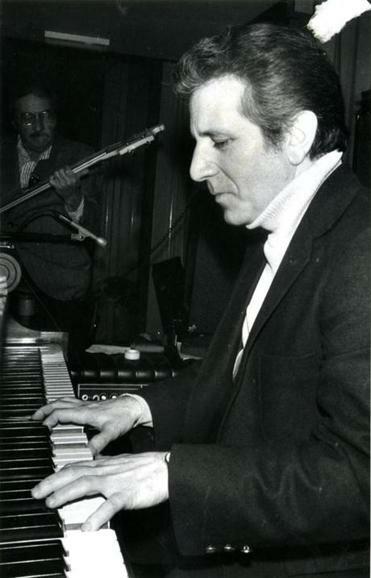 Taking that brief lesson to heart, Mr. Santisi became the pianist whom musicians passing through Boston wanted with them on the bandstand, and his stable of Berklee students included a who’s who of jazz keyboard virtuosity: Diana Krall, Keith Jarrett, Joe Zawinul. Mr. Santisi taught at Berklee for 57 years, working with students until two weeks before he died of complications from heart surgery Oct. 28 in Beth Israel Deaconess Medical Center. He was 81 and had lived in Boston all his life. With an elegant, memorable touch, Mr. Santisi coaxed sounds from the piano that no one could match. Mr. Santisi “had a very distinctive way of making sounds on the piano that was just original,” said Jonathan Feist, editor in chief of Berklee Press. As he spoke with the Globe in 1981, Mr. Santisi sat at a piano in the Top of the Hub restaurant on the 52d floor of the Prudential Tower. He had played in venues as close as New York City and as distant as Los Angeles, but always returned to the city that stretched out far below the windows that surveyed Boston’s neighborhoods and far beyond. Mr. Santisi grew up in Jamaica Plain, the eighth and youngest child of Italian immigrants. During theDepression, “the family would scrounge together the dollar for his weekly lesson,” said his nephew Frank Santisi of Westwood. A scholarship student, Mr. Santisi attended what was then called Schillinger House. By the time he graduated and started teaching there in 1957, it had been renamed Berklee School of Music, and later became Berklee College of Music. Along with teaching, he performed regularly and helped run jazz clubs. “He learned from playing. He played every night,” Tiernan said. Mr. Santisi “developed a way of teaching and he even developed his own language, his own words, his own vocabulary for describing techniques,” she said. Among Mr. Santisi’s best-known students was Diana Krall, the jazz pianist and vocalist who, like some of his other students, went on to be awarded Grammys. “Diana was always a terrific pianist, she used a great deal of economy in her playing,” Mr. Santisi once told an interviewer for a Berklee faculty profile. In the office where he taught, Mr. Santisi “had these two beautiful Steinways,” Feist said, “but you couldn’t see them because they were covered with thousands and thousands of pieces of paper” – compositions and technical exercises that spilled off the edges. On stage, though, there was no tidier player in Boston. “A good piano player can make or break anybody,” said Larry Monroe, a saxophonist and former Berklee vice president for international programs, who had performed with Mr. Santisi. “He was like the consummate jazz cat,” Feist said.